Oh my goodness, I had so much stinking fun today with Brandon + Gabi during their surprise proposal in Kennebunk, Maine! 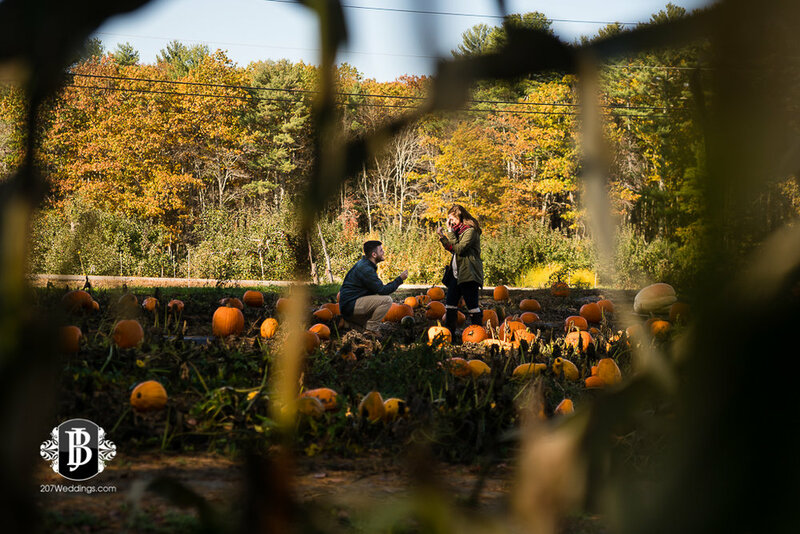 Pumpkins, scarves, a sparkling engagement ring....you cannot go wrong! We somehow managed to keep this entire plan secret, and boy was Gabi surprised in the best way possible today. This was such a fun proposal to help out with, and I am just loving these sneaks from their session! Congratulations to Brandon + Gabi! !